Here’s a “non-traditional” approach to leather that actually harkens back to the earliest book form. 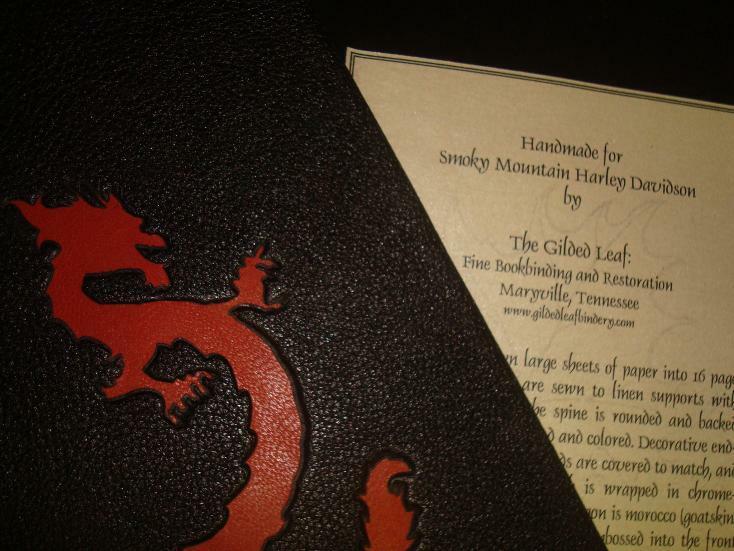 Featuring a wrap-around cover with a leather tie, this modern version in black leather was made for the local Harley Davidson motorcycle shop. 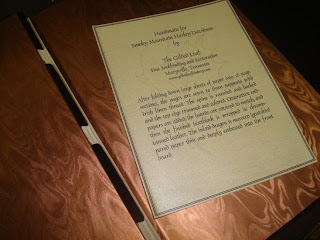 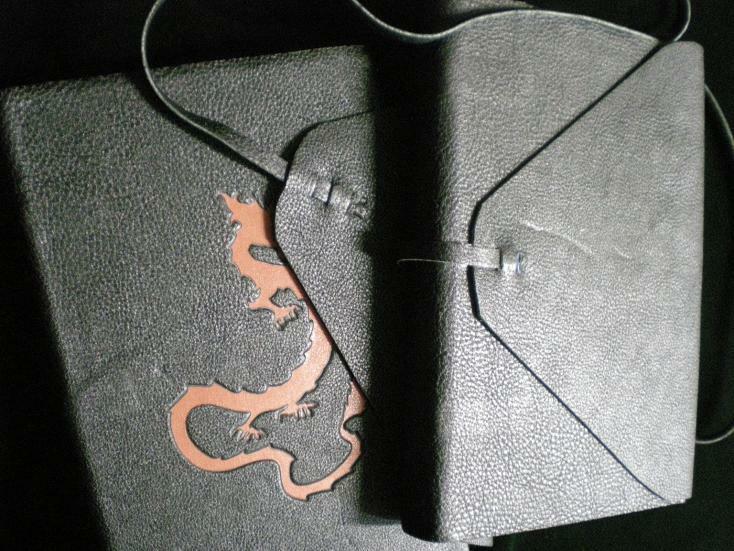 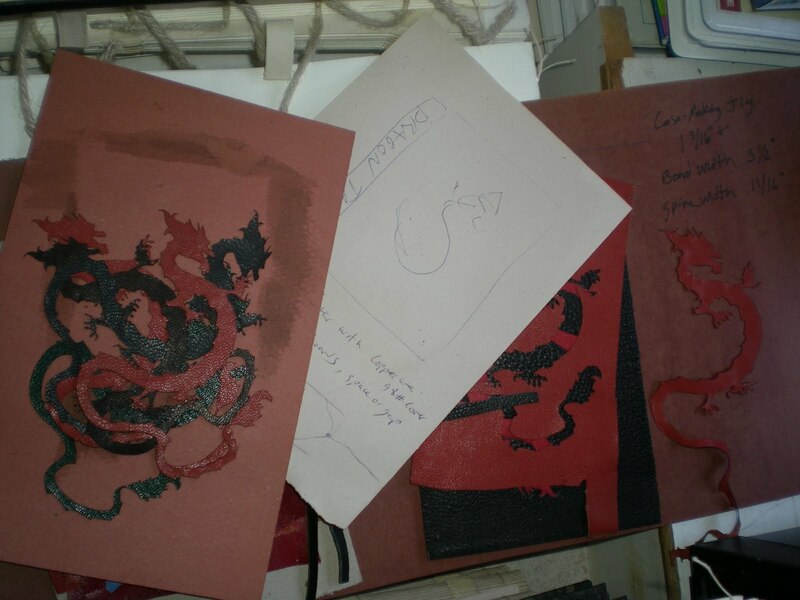 Sewn on three linen tapes, it has hard covers, decorative endpapers, a matching top edge, and an inlaid leather dragon. A simpler version with a pre-sewn textblock and simple embossed dragon is also available.